HOW TO CARE FOR HAIR IN BRAIDS Hi ladies, I hope this is meeting you all in wellness. I should have put this post up since but I got hooked in so many other things and I am so sorry for that. 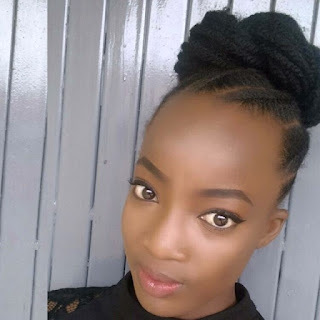 This post is actually supposed to be a two in one but I decided to split it into two posts so it will not look cumbersome. 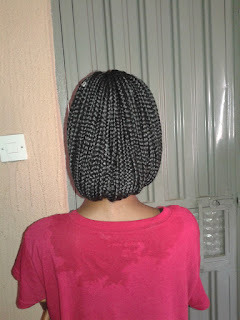 This post will be about how to care for the hair while wearing braids and the other one will be how to care for the hairline. 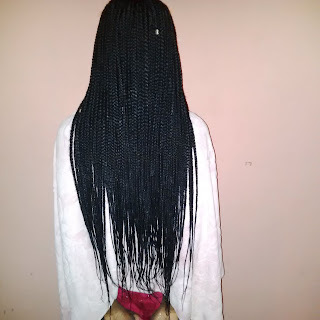 The later will be coming up very soon. 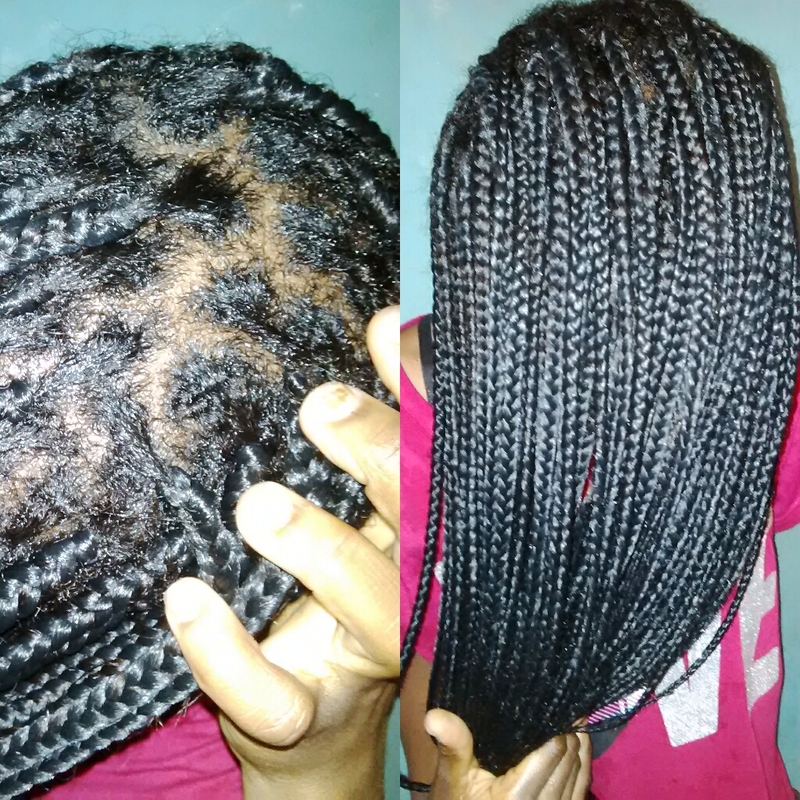 HOW TO CARE FOR THE HAIR WHILE WEARING BRAIDS. 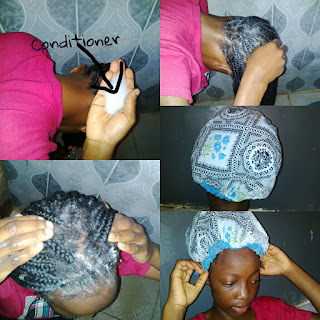 SHAMPOOING-Shampooing the hair while wearing braids is very essential to make the hair clean and also to minimize knots that could be caused by dirt in each braid. This may seem impossible to some, you might be wondering how possible it is to shampoo a head full of very long braids, well, it’s possible, and there are other methods on how people shampoo their braids but am going to be showing you I do mine. 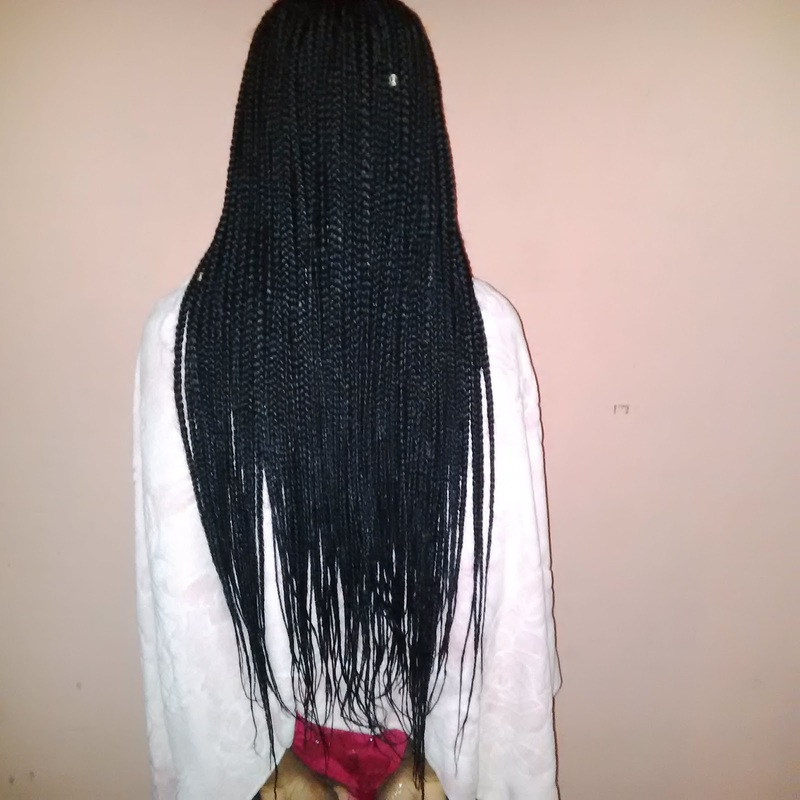 I shampoo my braids just like I shampoo my real hair, #pictures below… It might be necessary to dilute the shampoo with water first before applying it so as to make it easier to rinse out from the braids. 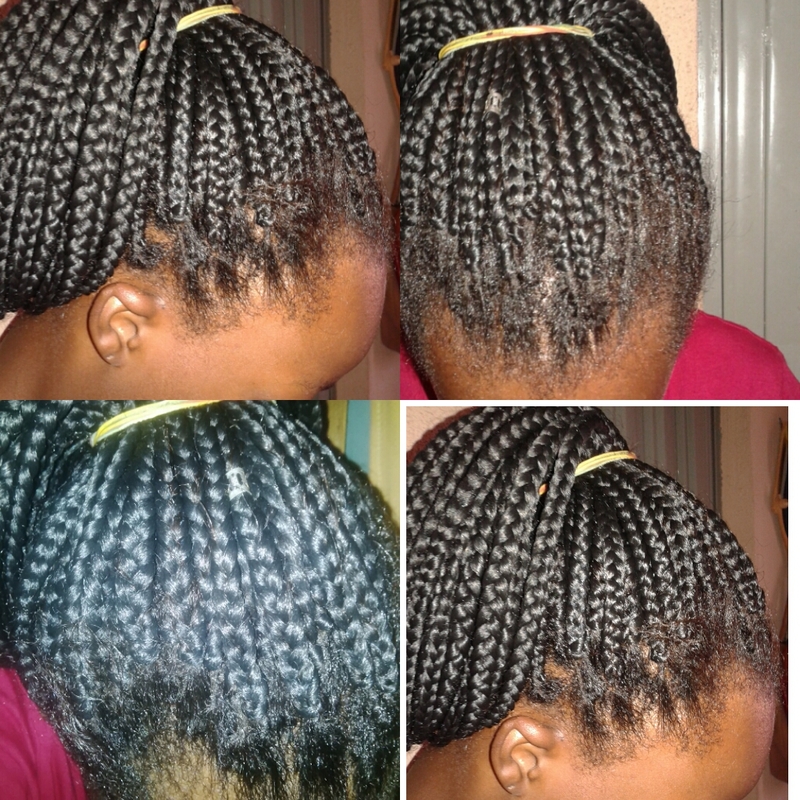 OILING-After shampooing and conditioning/deep conditioning, I used a towel to dry the braids although it was quite but not too heavy after rinsing, after drying with air, I oiled my scalp with coconut oil to seal the moisture in and also to add nutrient to the hair as well as shine. I also oiled the length of the braids with the same oil. 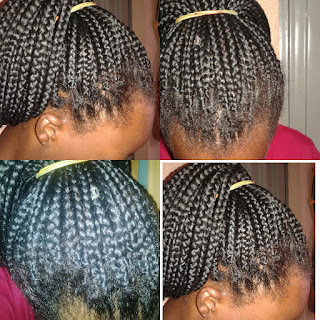 #pictures below… STYLING-After doing the above, I just simply pack my braids into a ponytail and roll the ends in to form a bang and voila…..
How do you take care of your hair in braids and the braids itself? Thanks for reading... xoxo doughyeen.